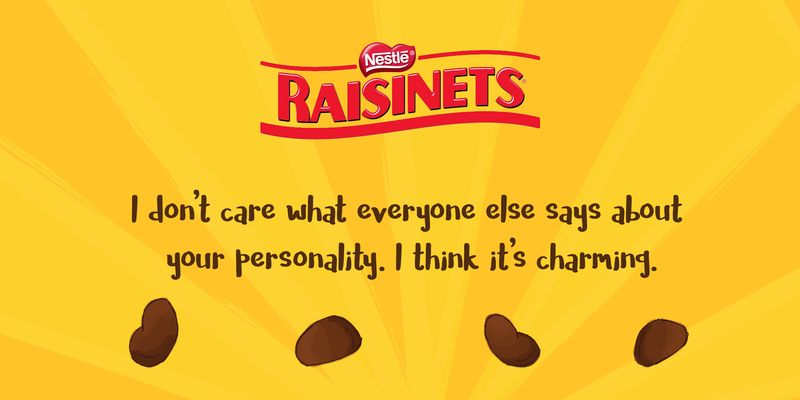 Raisinets are a divisive candy. 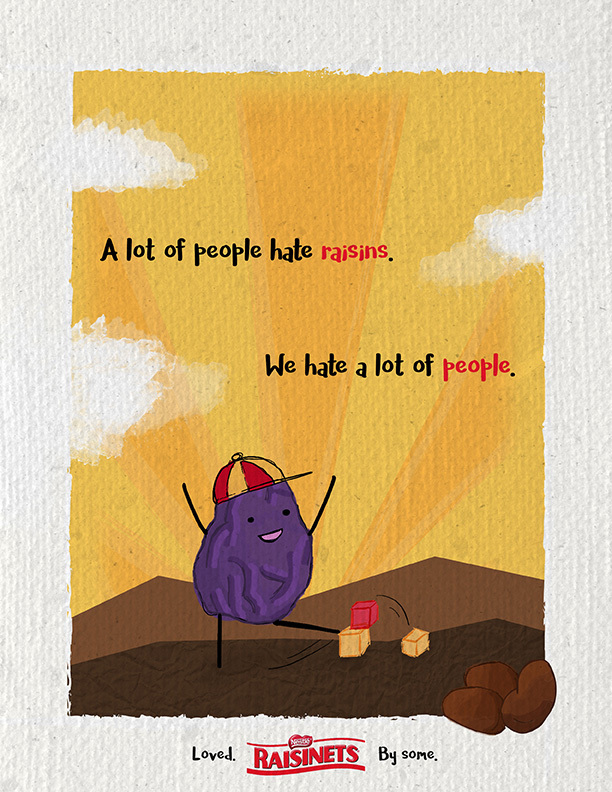 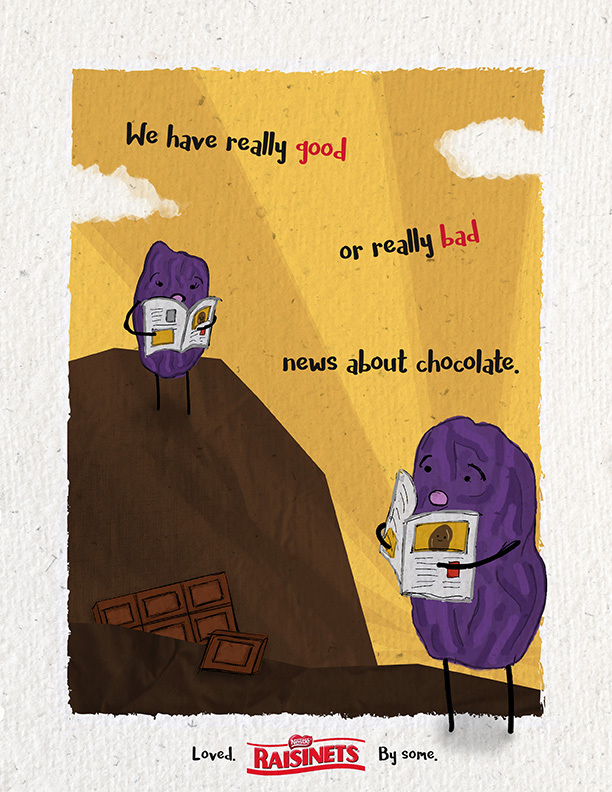 Turns out a lot of people hate raisins. 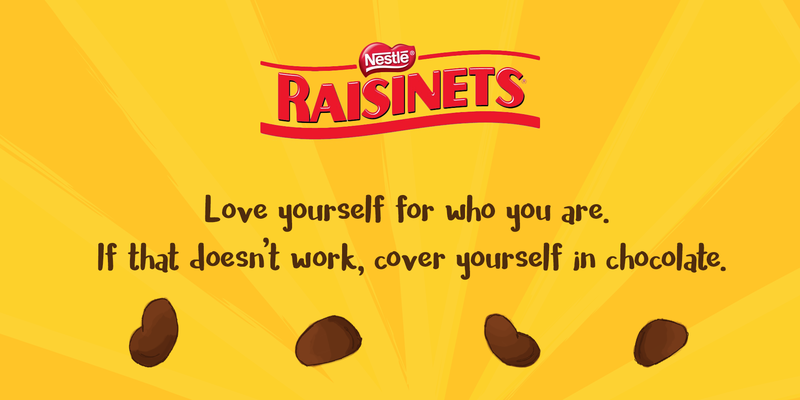 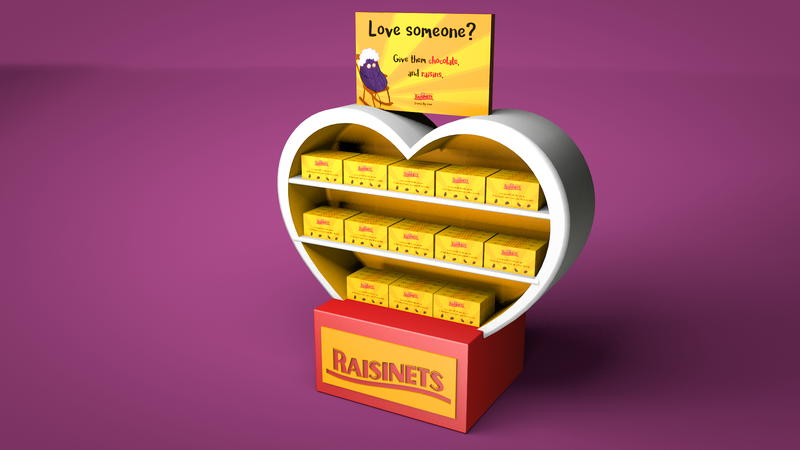 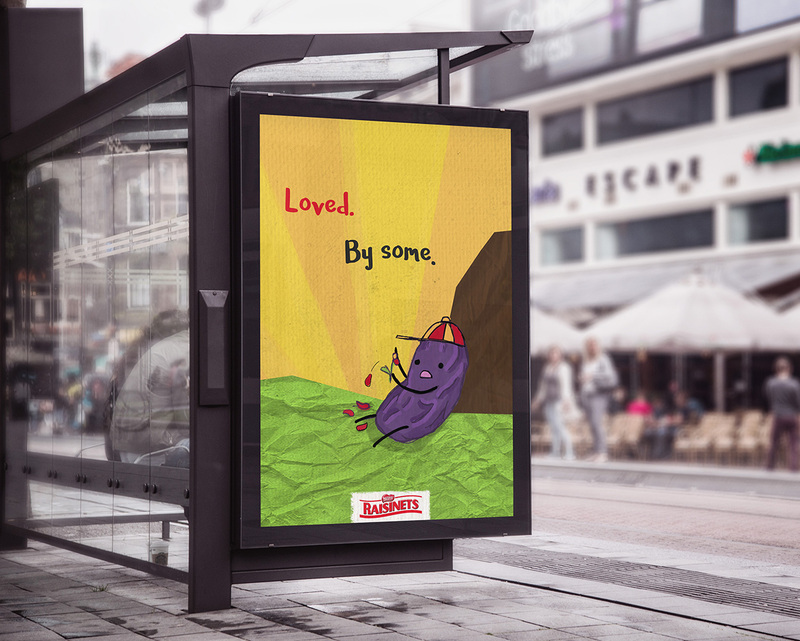 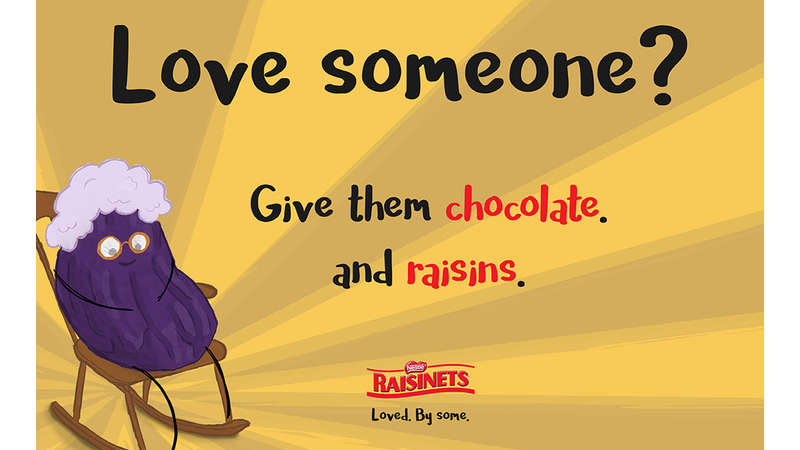 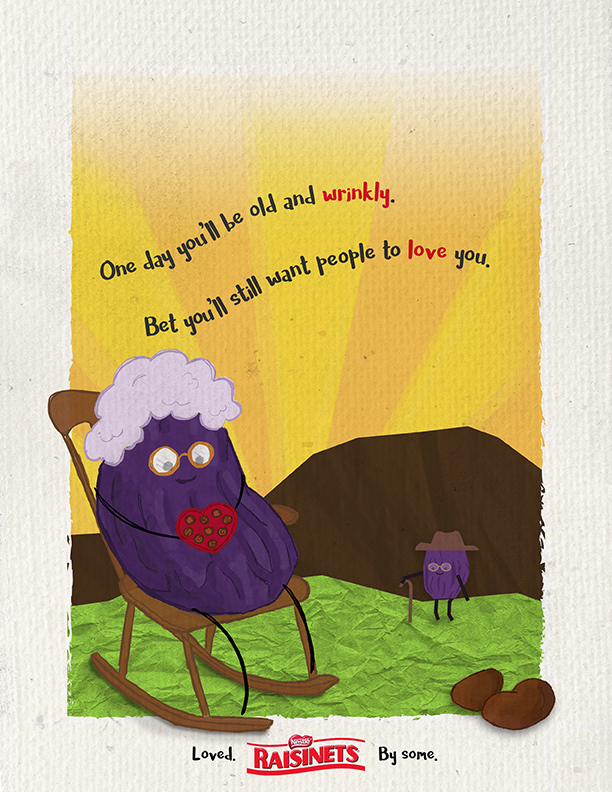 Raisinets boxes in the display will have Valentine’s related phrases to remind people they’re loved by some. 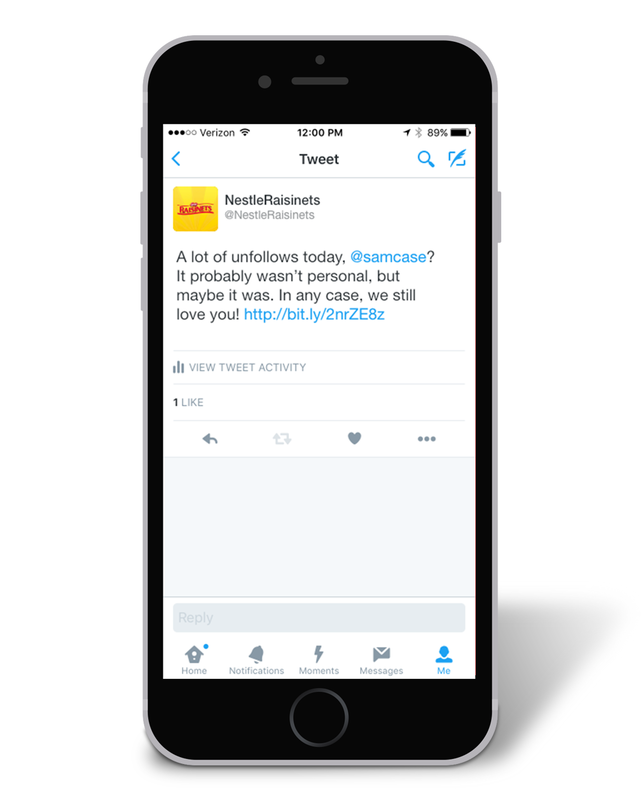 When a person follows @NestleRaisinets on Twitter a bot will follow that person back and keep track of their follower count. 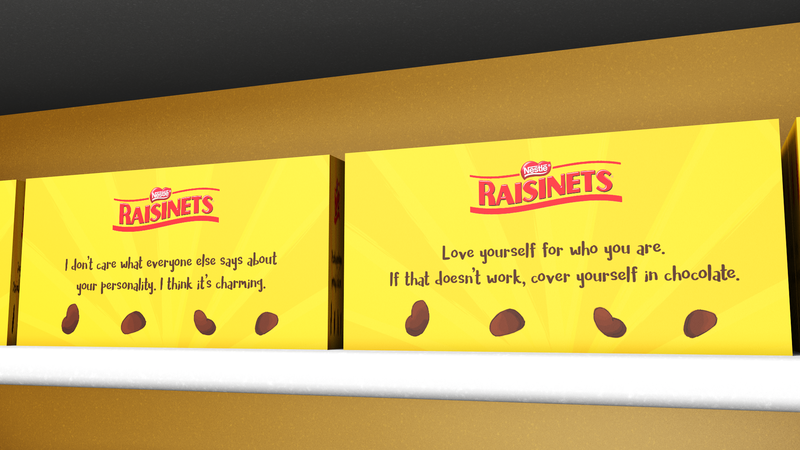 Once a threshold number of Twitter users unfollow that person, @NestleRaisinets will tweet them in sympathy and offer a code for a free pack of Raisinets.